Hello everyone; once again it is I, Chess the purebred border collie, here to bring you the latest and most semi-apocalyptic news from our garden. You may remember me from such semi-apocalyptic posts as “The H Word”, which I just posted. Here I am in a pose in which I seem to be a good deal more nonchalant that I really am. It was a bad day for both of us. Our internet was out for a couple of days, which the guy I live with said was a drag, and it’s hailed every day but one in the last week, which even I agree was a drag, but today, well, today was different. Today is a sad anniversary for us, but really, we’re so traumatized by today’s weather that it’s paramount in my mind, and in what mind the guy I live with has left, which probably isn’t much. 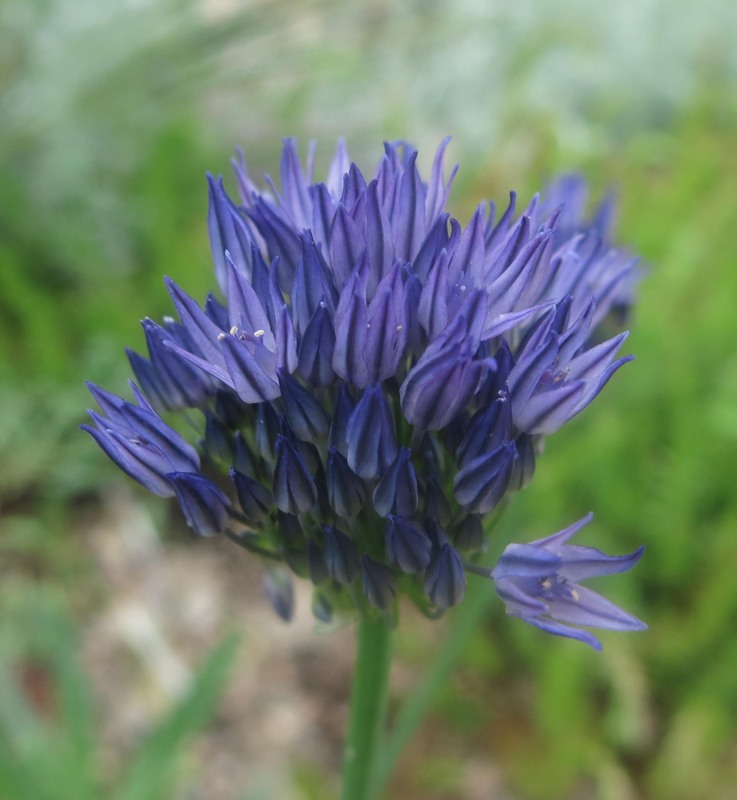 He worked in the garden a little this morning, and took some pictures. And then it started to rain. 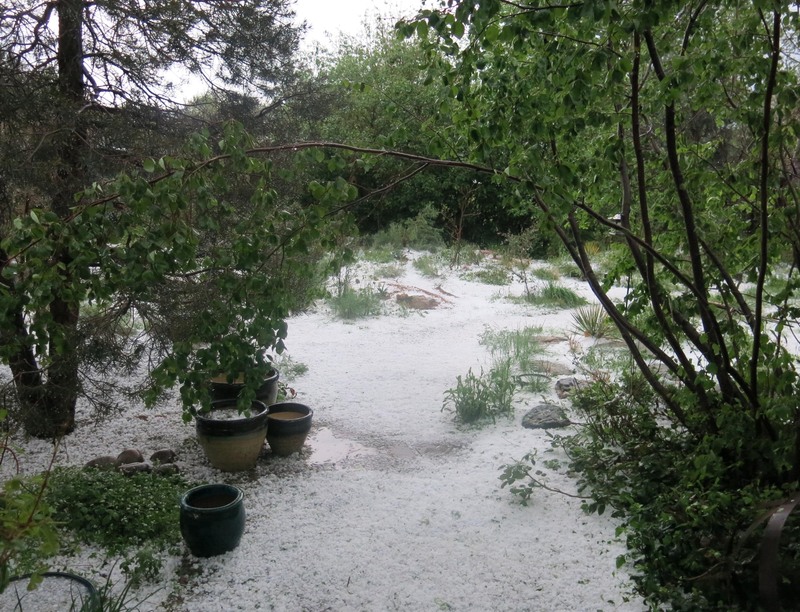 And then it started to hail, again, but this time, really big hail. There was a tornado warning and the sirens went off, and we hid downstairs in the closet, waiting for the end. I was really scared, and if the guy I live with was, he didn’t really let on. Much. 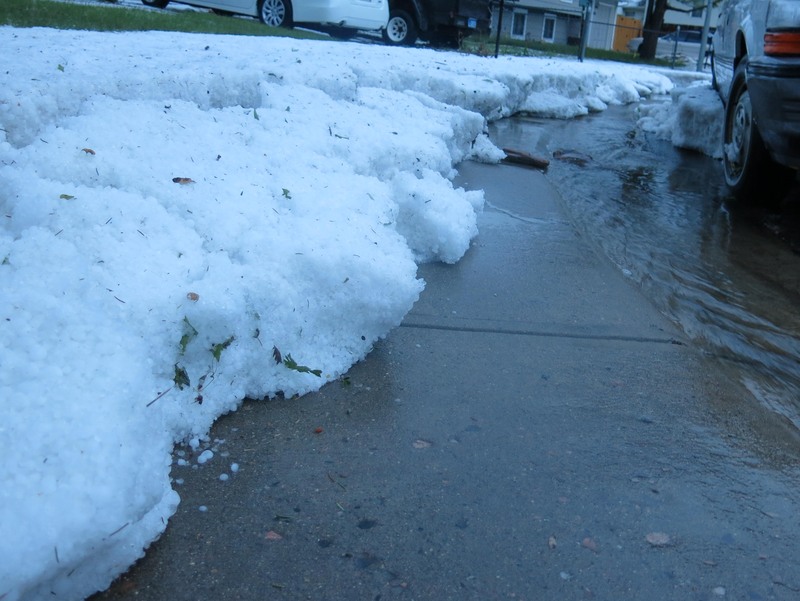 Hail piled up in the neighbors’ front yard. The guy I live with says that weather like this rarely strikes our side of town, and even the weather person on TV said the same thing, so he wonders why this keeps happening in a place where weather like this is rare. He says the garden is trashed and that we’re going to move; something I’ve heard over and over again since I showed up here. We’ll see. It’s days like this when the best thing to do, after things like this are over, is to go into the living room and spend time with my favorite toy. Oh my heavens, Chess, you are suffering a hideous heavy weather Event. Tornado warning! The hail looks the size of baseballs! 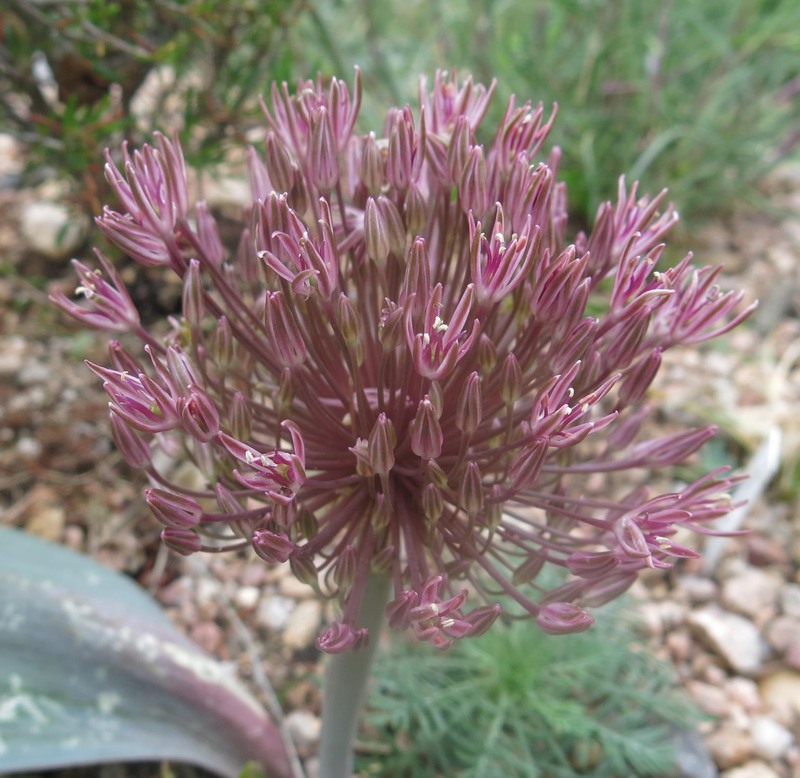 and yet we have the tranquility of today’s morning allium photographs which look snapped in a tender sunlight. In your first portrait you don’t look as though you’re portraying nonchalance but rather waiting for the next thunderclap or siren wail. Nice to see the serenity – or emotional exhaustion – of your second portrait. A good toy companion gets one through much sadness and trauma. Pay no attention to the guy you live with’s talk about a trashed garden and moving — he’s a hardy kind of guy, and that garden looked green and upright and redeemable to me. Thanks. I rarely pay much attention to the guy I live with when he gets flustered; he did have to drag me out of my fort when the tornado sirens went off, though. For such supposedly rare weather it seems to happen here an awful lot. A month or so after we lost my mommy, the guy I live with dragged me and my buddy Slipper down to the crawl space with the sirens wailing left and right, but that time the hail missed our garden by two blocks. At least I do know that the guy I live with is completely sane, which is less than we can say for people who told him to move five years ago. A sane person would not sell a paid-for house and get themselves saddled with another mortgage. So we’re not really going to move. It’s just talk, as usual. I spent an hour last Wednesday stranded in City Floral, and not because I was browsing. I had just stopped in to replace a few plants ruined from the storm the day before. 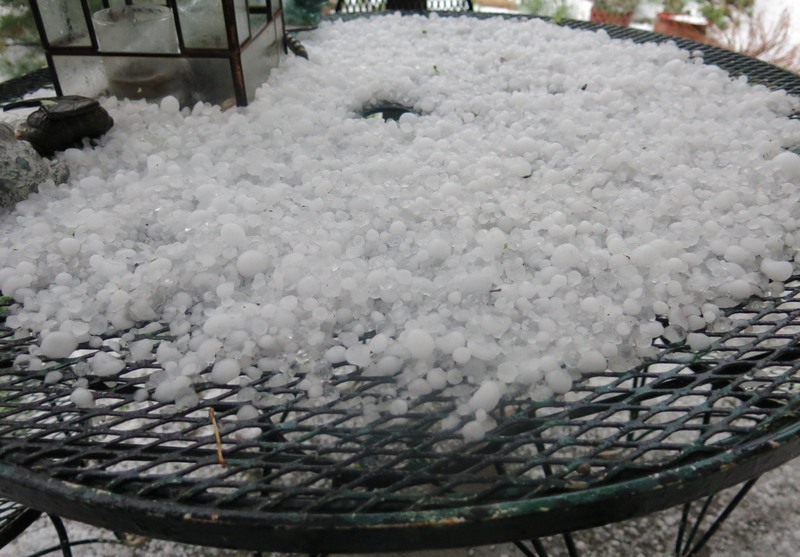 First, the hail – ear numbing on the greenhouse roof. Then the sirens for the tornado. All customers and employees were told to come to the front of the store to a safer space. I am not sure that a greenhouse is the best place to be during a tornado. Since when do tornadoes and hail go through Denver every day for a week? Since when, is a good question. Marble-sized or larger hail has hit the garden here three times in the last week, and this is in a neighborhood where thunderstorms pass directly over maybe once a year, if that. The guy I live with says it’s because he said that the garden had never looked better last week, and so he brought down upon him the wrath of Nemesis. One thing we are not going to do is post pictures of this mess. At least the roof isn’t leaking. A greenhouse in a tornado. Hmm. 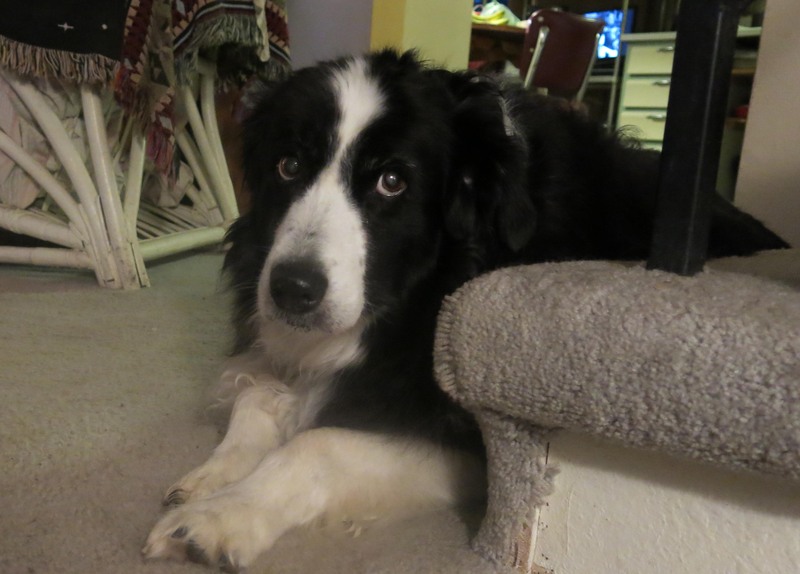 My darling Chess, I can see by the whites of your eyes that you were calling upon every cell of pure bred border collie-ness to Keep Calm and Carry On … good thing you are the right size for hugging hard in times of stress. In your storm shelter, does the Guy You Live With keep a stock of Brie for these emergencies? Or is he like me, and just hoards Prosecco? All this mishagos on a day that was melancholy from the get-go. Yeesh. This is from a memorial in a New England cemetery, carved in stone c. 1700: It Is a Fearsome Thing to Love What Time Can Touch. You and the Guy You Live With, through hail and thunder and floods and loss, are Fierce. That quote is enough to send a person into an existential funk! Oh my!! 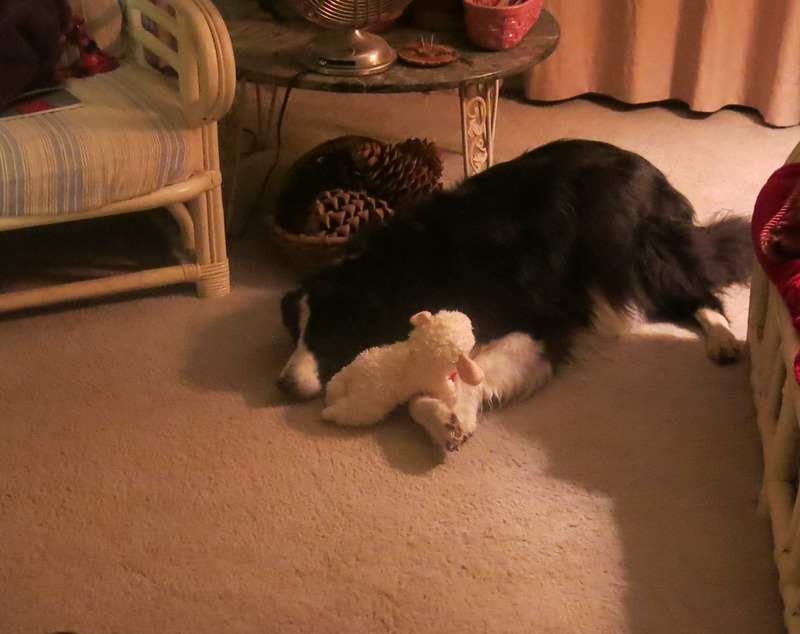 It seems you took the correct approach in the end by lounging with your lamb in the living room. Indeed. The guy I live with says that taking a nap is the best course of action, but squeaking my toy loudly is almost as good. Like, so the universe can hear, or something. Hold on to one another and ride it out! I see faith and trust in those beautiful brown soulful eyes. All shall be well and very well. Things seem better when the sun comes out. Hotter, too. Keep your chin up Ches on this sad day, I feel for you. That darn weather is another thing, at least yur guy is watching out for you and himself, hopefully it will be forgotten soon when the sun again returns. Our internet keeps coming and going here too, so frustrating. Keep cuddling Lamb chops. The sun is out now, and the internet has returned. More metaphors, maybe. I’ve never seen such frightening hail photos. I think your guy did tempt fate. We had a perfect weekend in NYC. I thought of you when I fed my brother’s birds, cats, & squirrels. He set them up with outside shelters before hurricane sandy and has a happy colony. I hope the yard is not as bad as it looks . It doesn’t seem to be too bad, except in a few places where large-leafed plants were grown. At least not as bad as it could have been. Sorry. Just got a smartphone and actually my first comment via phone on your blog. I have to watch the spelling since I’m not used to the tiny keys. My laptop battery died after four years and I am waiting for the replacement to arrive. The guy I live with has a “dumb phone”. He couldn’t send a text message if his life depended on it. WordPress is very finicky about commenting. If even the slightest thing changes, it makes us moderate it. (More than one hyperlink causes that too.) Thinks it’s spam. A good thing, because we have no intention of becoming a platform for advertising a bunch of junk no one needs. Anyway, that’s why the comment had to be moderated. We knew who it was. That is truly shocking weather! Yes; repulsive, even, but Denver is known for things like this. Though not usually in our little neighborhood, farther east or north.